About a month or so ago, Fast Company wrote a pretty interesting article posing the question, “What could you do with a $40 tablet?”, based on the release of Datawind’s £30 ($37) 7-inch tablet. While that certainly is a fun question to chew on, another interesting question is what does that release do to the current tablet market? The first thing it does is point out the large companies who really seem to have no idea how to compete in the space. Curiously, (and a nod to The Innovator’s Dilemma, I suppose) these tablets are made by the large computer manufacturers like Dell, Lenovo and HP. What’s worse is that other companies have given them clues about this very event. Walmart brought in a number of big-brand tablets at the onset of the craze. Things didn’t sell and eventually resorted to courting Apple products. Then they started bringing in the cheap tablets, undercutting the Asus’s and Dells of the world by almost $200. If that’s not a message, I don’t know what is. Frankly, even a $200 tablet without any sort of amazing specifications is really a hard sell. The tough part is the price ladder; on the rung up from you is Apple and Microsoft, who have legitimate reasons for commanding their price point; on the rungs below you are tablets like the HiSense Seros of the world, who run essentially the same hardware and software as you for almost $100 cheaper. The scariest part of all this for the Dells and HPs of the world is that there is a rung below that where the Polariods, Craigs (nice to see my favorite ’80s brand alive) and RCAs pushing only a revision-old specification for half again the cost of the people above them. This is not just a couple of companies. At last check through DealExtreme, there’s something like 20 similar spec’ed and priced versions, not to mention the odd ducks who spring up in discount stores. Previously, what companies like HP and Lenovo would do now is retire to owning the business space. 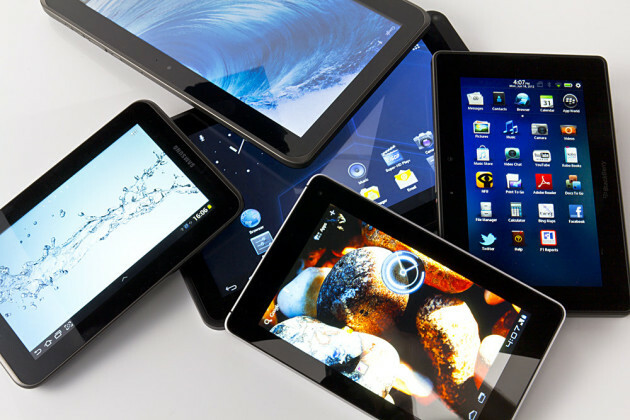 That may not be an option, as the Android tablet, and for the most part, the iPad, never really wriggled themselves into the corporate space. This land will once again belong to Microsoft now that they’ve gotten wise to putting a version of Office on even the low-end Surface. With doors closing at every turn, it will force the mid-market players to compete on price – which they haven’t figured out how to do yet – or figure out features to differentiate. A scary proposition since their best feature so far is to try and turn tablets into laptops. What Does The Moto G Mean for Mobile Contracts?